The ugly feud between senior India woman cricketer Mithali Raj and coach Ramesh Powar is headed towards a dead end without any intervention from the cricket administrators with the latter’s three-month interim tenure ending on Friday. While fresh applications will be invited by the BCCI, there is little doubt that Powar will not be considered even if the former Mumbai off-spinner applies. What transpired in the past one week could easily be termed as one of the darkest chapters in the history of women’s cricket in India. To put things in perspective, India played England in the semifinal of the World T20 in the West Indies on November 22. Mithali, the senior most players in the squad and one of India’s best known batswomen, was not included in the playing XI. She missed India’s the last group match against Australia, which India won by 48 runs, owing to fitness issues. Though Mithali was declared fit for the semifinal, the team management didn’t want to tinker with the winning combination and went ahead with the same line-up, leaving Mithali to warm the benches. Much to everybody’s dismay, India crashed out of the World Cup following an 8-wicket thrashing. And all hell broke lose! Things took an ugly turn on Tuesday after Mithali wrote a 2000-word letter to BCCI CEO Rahul Johri and GM (cricket operations) Saba Karim, expressing her displeasure over the entire episode. In the letter, she launched a scathing attack against coach Powar, giving details of the manner in which the coach allegedly ‘humiliated’ her. She also mentioned the bias she feels that Diana Edulji has against her. Former international Eduji, who’s a member of the BCCI’s Committee of Administrators, had defended Raj’s exclusion from the playing XI against England. “For the first time in a 20-year long career, I felt deflated, depressed and let down. I am forced to think if my services to my country are of any value to a few people in power who are out to destroy me and break my confidence,” her email read. She also narrated a series of instances where she felt wrongly done by the coach. “For instance, walking off if I am sitting anywhere around, watching in the nets when others bat but choosing to walk away when I am batting in nets, if I try to go up to him to talk to start looking into his phone and keep walking. It was embarrassing and very evident to everyone that I was being humiliated. Yet I never lost my cool,” she wrote. The next day, Powar hit back in his 10-page report of the World T20 tour submitted to Johri and Karim. 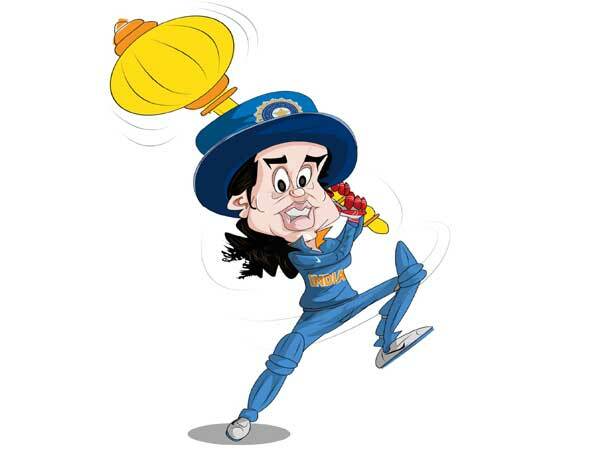 “I hope Mithali Raj stops blackmailing, pressurising coaches and also stops putting her interest first than team’s. I hope she will look at the bigger picture & work towards betterment of the Indian women's cricket. (She) ignored her role and batted for own milestones. Lack of keeping the momentum going which was putting extra pressure on other batters,” Powar wrote. While blame games will continue for some time to come with accusations flying thick and fast, it would be fair to look whether the decision that sparked such hue and cry was fair. To begin with, Mithali is arguably the greatest ever batswoman to don the India jersey. In a career spanning nearly two decades, she has shattered many batting records and averages over 50 in both Tests and ODIs. The pivotal role she played behind the rise of women’s cricket in India can never be doubted and her place in the pantheon of all-time greats is already assured. However, that does not mean she can’t be dropped. More so, in a team sport like cricket. Without showing any disrespect to her staggering figures in Tests and ODIs, it would be fair to say that her recent T20 records do not speak well. Her total of 2,243 runs at 37.42 may look impressive, but her strike rate of 103 in the last two years is far from satisfactory. In fact the others given preference over her at the Caribbean all had better strike rates in the said period -- Jemimah Rodrigues (129), Anuja Patil (125), Harmanpreet Kaur (124), Smriti Mandhana (124) and Veda Krishnamurthy (114). More importantly, her strike rate reads a poor 90 against the top three teams -– Australia, England and New Zealand. In ICC World T20, Mithali has a strike rate of 97, which is the fifth-best for India with a 100-run cut-off. So it would be wrong to blame the team management if it went for players who could score at brisk pace, rather than hold one end, in a crunch semifinal tie at the World Cup. After all, T20 cricket is about power hitting. More than often, how many runs a team scores in the power plays decide the fate of a match. Since the 2017 World Cup, Mithali has faced the highest percentage of dot balls in the powerplay (61.1 per cent) among India’s established lot. Many people are arguing that Mithali’s form should have been taken into consideration. She played three matches in the World T20, didn’t bat in one and scored two half centuries in the other two to be declared player of the match on both occasions. However, the fifties came against Pakistan (which only beat Ireland in the tournament) and Ireland (which lost all its matches). Against Ireland, Mithali faced as many as 25 dot balls. In the two warm-up matches India played before the tournament, Mithali, opening the batting, scored 0 against the West Indies and 18 off 25 balls against England. Even in India’s first match against New Zealand, Mithali was pushed down the order as India amassed 194/5 with skipper Harmanpreet Kaur slamming a 51-ball 103. Since she didn’t play in the last group game against Australia which India won, it would be fair to said that India defeated two of strongest teams in women’s cricket, that too convincingly, without Mithali’s services. So there is little surprise that the team management went ahead with the same side, reposing faith in players who could change the match in a space of few overs, rather than having someone who could bat through the 20 overs. It’s not that Mithali was out of form, or suddenly lacked the ability. It’s just that she didn’t fit into the scheme of things required on a particular day. Legacy or past records are immaterial in this context. Ravichandran Ashwin is India’s best spinner in Test cricket with incredible numbers. Yet he is not even considered when India picks its T20 squad. Indian women’s team's next assignment is the tour of New Zealand in January. Under a new coach, one can only hope the team steers clear of further controversies.